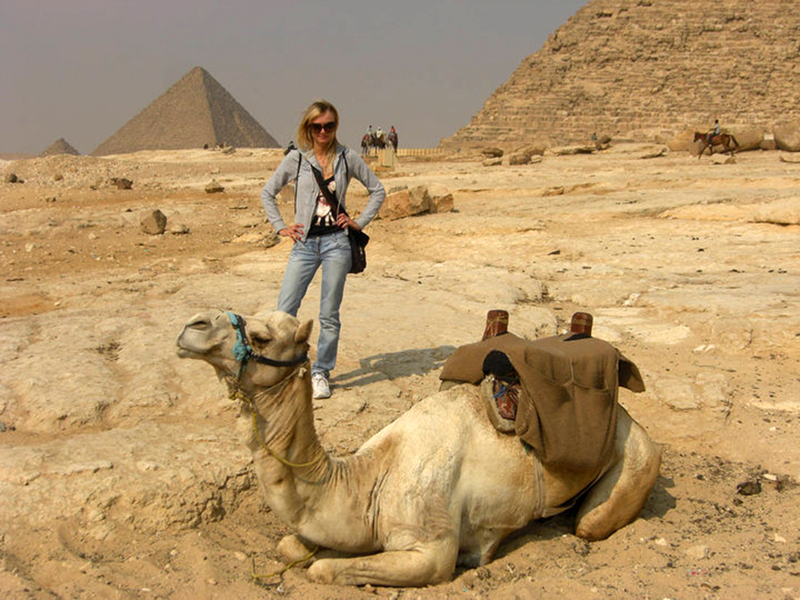 Oggi vorrei condividere con voi una esperienza indimenticabile, il mio viaggio in Egitto! Sono stata sempre affascinata dall’Egitto, dalle sue meravigliose Piramidi e della storia dei suoi Faraoni così un bel giorno ho deciso di fare una crociera sul Nilo per conoscere meglio la storia di questo affascinante paese e della sua antica civiltà. Sono rimasta estasiata dalla bellezza e dall’ intelligenza di questo popolo pieno di risorse e di ingegno. Durante la crociera, nelle numerose tappe lungo il fiume Nilo sono riuscita a visitare la famosa Valle dei Templi e le tre famose piramidi di El Giza, la più celebre e la più grande, quella di Cheope, ma anche la piramide di Chefren e Micerino. E poco distante da esse ho contemplato la maestosità di un altro dei più famosi monumenti egiziani, la Grande Sfinge, ovvero una enorme statua di leone con la testa raffigurante il faraone Chefren. Un monumento misterioso e molto affascinante sul quale sono state formulate numerose teorie circa la sua creazione, tanto che le teorie più assurde ipotizzano perfino sia stata creata dagli extraterrestri! Al Cairo, capitale dell’Egitto, ho visitato il famoso museo archeologico, che ospita la più importante collezione del mondo di reperti archeologici dell’antico Egitto. Qui ho potuto ammirare tutto quello che ho sempre visto sui libri di scuola, dalla famosa maschera funebre d’oro del faraone Tutankhamon al volto di numerose mummie. E per non farmi mancare nulla, ho provato anche il brivido di attraversare il deserto in groppa ad un dromedario. Davvero fantastico! Una vacanza che consiglierei a chiunque di fare almeno una volta nella vita. Io ho scelto la classica crociera ma se posso darvi un consiglio, fossi in voi , sceglierei un tour vero e proprio con tanto di auto privata per i trasferimenti e guida italiana al seguito per tutta la durata del soggiorno. Sarà un viaggio sicuramente meno rilassante di una crociera ma molto più avventuroso e interessante soprattutto se si vuole approfondire e comprendere al meglio tutta la cultura antica e moderna di questo meraviglioso paese. Сегодня я хочу рассказать Вам о своём путешествии в Египет. С самого детства я была очарована загадочным Египтом , его грандеозными пирамидами, могущественниумы фараонами и великолепной Клеопатрой . И в один прекрасныи день я решила отправисться в круиз по Нилу , чтобы узнать по подробнее об истории этой удивительной страны. Во время круиза я посетила множество нaболее известных исторических памятников каk Ага -Хай, КОМ-ОМБО величественные руины двойного храма , Эсна, Эдфу-храм Гора бога Солнца, Луксор и многo других . Я посетила пирамеди Гизы, Хеонса, Херфена и Микерина , pядом c ними великолепнию статую Сфинкса -самая древнейшая сохранившаиса на земле монументальная скультура лежащего на песке льва , лицо которого изображает фараона Хефрена . Это очень загадочный памятник o котором существуют множество теорий ,oдна из самых странных, чо этa скультура была создана инопланетянами . В столице города я смогла посетить знаменитый археологический музей , который является самым большим в мире хранилищем предметов древнеегипетского исскуства .Здесь я увидела всё о чём читала в книгах истории, множество мумий разных фараонов, золотую погребальную маску Тутанхамона и даже косметику Клеопатры . И конечно же под конец моего путешествия в Египте я решила покататься по пустыне на верблюде. Если вы хотите увидеть чудеса мира этой замечетельной страны Вы должны обязательно посетить Египет хотябы один раз в вашей жизни. La moda? La mia più grande passione, da sempre! 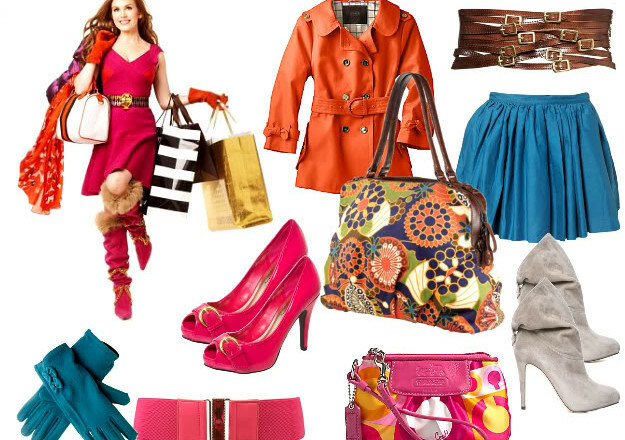 Sono una vera fashion addict, amo la moda in ogni sua declinazione. Mi piace seguire le ultime tendenze e mi aggiorno costantemente attraverso la rete, i social e le riviste di moda sulle novità proposte dalle più importanti maison di moda italiana e non solo. La mia creatività e la passione poi fanno tutto il resto! Naturalmente adoro anche fare shopping! Mi piacciono gli abiti eleganti e raffinati e impazzisco per i tacchi alti ma generalmente, nel quotidiano, preferisco adottare uno stile casual, sobrio e informale ma con stile. Mi piace giocare con i colori e con gli accessori per dare un tocco sempre nuovo ed originale ad ogni mio outfit. Mi piace mixare capi di abbigliamento basic con accessori particolari e perché no, anche stravaganti. Il mio brand preferito è Dolce & Gabbana, adoro il loro stile giovane e grintoso, mai banale, ma adoro moltissimo anche altri famosi marchi di moda come Giorgio Armani, Gucci, Prada e Fendi. Se anche tu ami il magico mondo della moda questo è il posto giusto per te! Buon viaggio nel mondo di Bloggertforlove! можно сказать чо превратилась в настоящую fashion addict . люблю её во всех её разнообразностях и слежу за последними тенденциями и новыми предложениями самых важнейших Домов Моды через социальные сайти и модные журналы . Ну а Моё творчество и стремление, делают всё остальное! Конечно же я обожаю shopping, мне очень нравится элегантная и изысканная одежда, люблю высокие каблуки , но ежедневно я предпочитаю одеваться кэжуал и со вкусом. Мне нравится играть с цветами и аксессуарами , чтобы дать каждому моему оутфиту персональный штрих. Мой Любимый бренд это Dolce&Gabbana, обожаю их молодой и агрессивный стиль, никогда не скучен,но люблю и других стилистов как Giorgio Armani,Gucci, Fendi, Prada. Приятного Путешесвтия в мире Bloggerforlove! 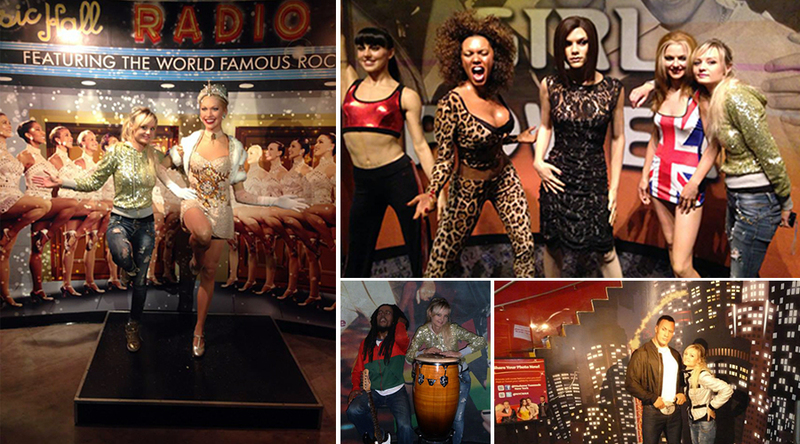 New York City and the unforgettable experience of the wax museum Madame Tussauds. The wax museum in New York City joins the large family of Madame Tussaud’s wax museums around the world, from London to Amsterdam, from Las Vegas to Hong Kong. It all began in the 18th century in Paris, when Madame Tussaud was in charge of building the masks of the noble aristocrats executed during the French Revolution. The first museum in London was founded in 1835 and currently receives over 2.5 million visitors each year! 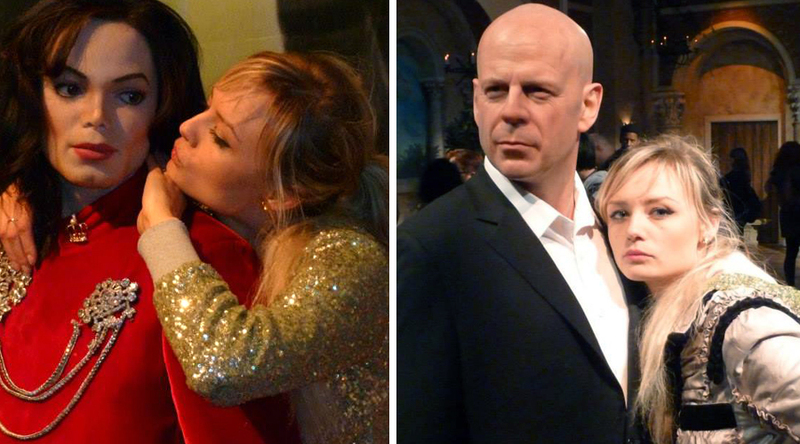 If you are in New York for holidays you must visit the wax museum Madam Tussauds, it is really worth it! Located in the heart of Times Square and opened in 2000, the New York version of the famous London museum takes on “the face of the place” exposing the most celebrated and famous people of New York as well as many famous figures of international renown. 85 thousand square meters to 5 floors of history in 6 interactive environments where they are exposed more than 200 wax figures, amazingly realistic and beautifully worked. 2 – Madame Tussaud’s Story, running through nearly 200 years of history, where you can admire the statue Marie Antoinette and Giuseppina Napoleon’s mistress. 4 – Popular Culture, or the exposure of the celebrities who have made the history of the 20th century. On show are celebrities like Mikhail Baryshnikov, Babe Ruth, Janis Joplin, Charlie Chaplin, The Beatles, Marilyn Monroe, John Wayne, Bill Gates and Neil Armstrong. 5 – It Happened in New York City is the representation of a passionate midnight ride to celebrate the illustrious history of the city. 6 – Behind the Scenes, which is a multimedia exhibition where you can see all the steps of the process of creation of the waxworks. 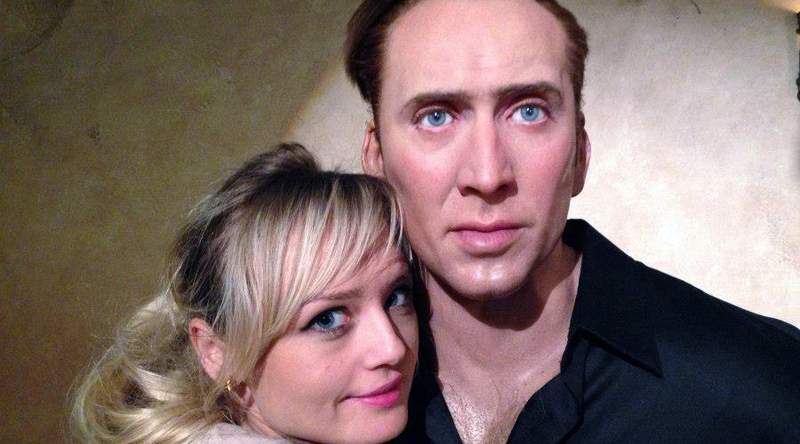 The wax museum is a beautiful place where you are face to face with the stars of film and theater, sports legends and music, political actors and cartoon characters. 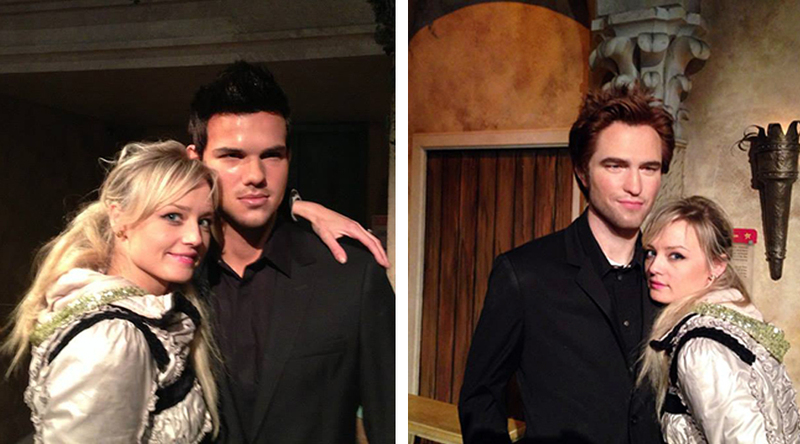 The wax figures are extraordinarily lifelike, beyond all expectations. I walked out with George Clooney and Jennifer Aniston. I was amazed at how high or low are some famous people. It ‘s fascinating stand toe-to-toe next to it, photograph themselves and pretend to be a star of the show. Walking through the corridors of this beautiful museum I felt like a diva! Even my outfit was perfect for that wonderful place. I wore a sweater full of shimmering sequins Met combined with sneakes Hogan shoes and a pair of jeans Armani Jeans, to be comfortable, yet glamorous and confuse me among all the biggest stars. I was able to see up close the beauty of Angelina Jolie and Jennifer Aniston and it was really fun to to pose together the legendary Space Girls. In the past I’ve been a big fan of them. I hugged the king of pop Michael Jackson and my favorite actor, the beautiful Robert Pattinson star of the Twilight films known. To fully understand the true essence of the Big Apple I recommend you visit, as well as to the wax museum, also the MOMA, Museum of Modern Art. You can visit the most important places that have seen the film starring the diva Marilyn Monroe. In Manhattan, between Sutton Place and E 57th St., you can see the places-set of the movie “Come sposare un milionario” or go to see the grate where was filmed the famous scene in the white dress Marilyn raised by air escaping from the vent of the underground in the famous film “Quando la moglie va in vacanza”. You can find it at 590 Lexington Avenue. Or try the thrill of ringing the bell on the stock exchange (New York Stock Exchange) on Wall Street, the heart of global finance, or visit the 9/11 Memorial at Graud Zero. Take a scenic walk through Central Park and enjoy the breathtaking views of the Brooklyn Bridge. There is so much to see and do in New York City, this is a really great city!